Treat that special someone who appreciates the good things in life. 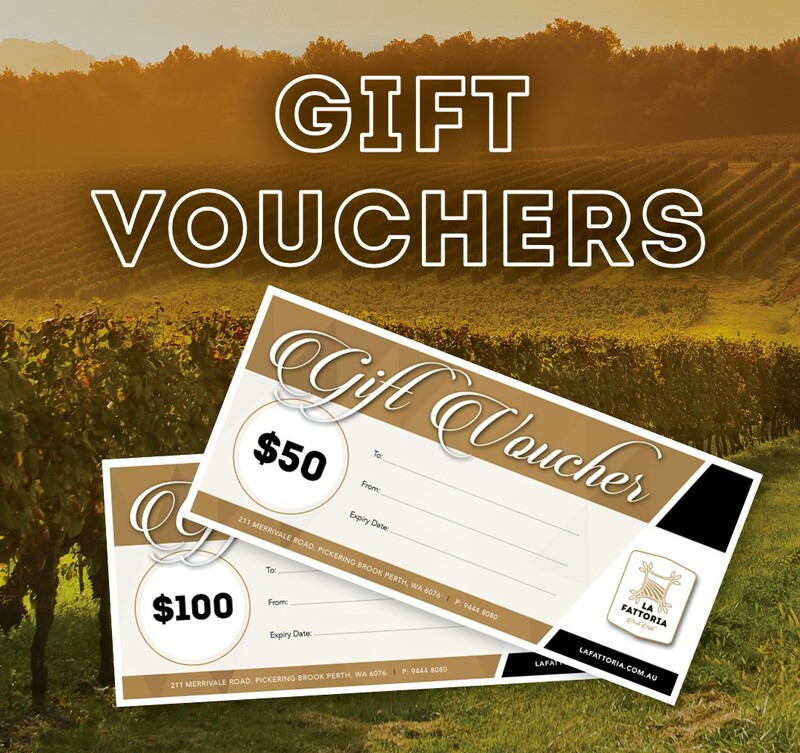 Our La Fattoria Perth Hills gift voucher is the perfect gift idea for someone who loves unique food and wine experiences. It can be redeemed for our Nonna’s Family experience, our Pick a Platter experience or simply enjoyed for the love of Italian wines from our cellar door. We’ll leave that up to them.